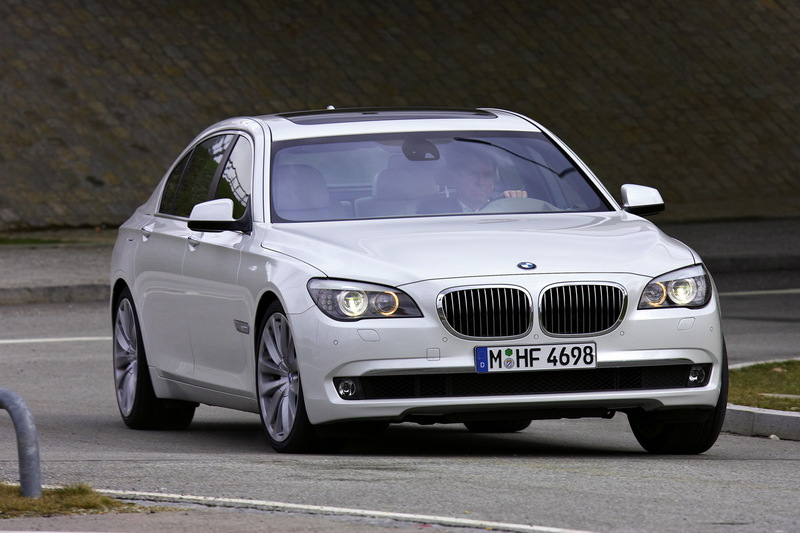 The 2011 BMW 760Li sedan comes with BMW 7 Series V12 engine and 8-speed automatic transmission. The new V12 engine develops 535 horsepower at an engine speed of 5,250 rpm, with maximum torque of 550 lb-ft from just 1,500 rpm. Combined with an 8-speed automatic transmission, this BMW V12 offers unparalleled driving refinement and premium driving dynamics through its ability to convert seemingly unlimited power reserves into action with amazing responsiveness. The BMW 760Li Sedan features self-leveling air suspension at the rear. Standard Integral Active Steering offers speed-related adjustment of the steering angle on the front and rear wheels. With Integral Active Steering, the car’s passenger comfort reaches an even higher level when changing lanes at high speeds thanks to reduced lateral forces. In addition to these technologies, the 2011 BMW 760Li Sedan features self-leveling air suspension at the rear. Standard Integral Active Steering offers speed-related adjustment of the steering angle on the front and rear wheels. For the exterior, the 2011 BMW 760Li Sedan features the kidney grille for the radiator boasts an extra-wide chrome frame in slightly concave design as well as bars extending powerfully to the front. From the side, exclusive 19-inch light-alloy wheels as well as the V12 model designation on the chrome-plated gills with their integrated side direction indicators at the transition point between the front fenders and the doors likewise serve to identify the BMW 760Li Sedan.